Printed Shadows - 30 Years of Cultural Journalism | An archive of my published reviews, articles and interviews. Last weekend Linda Adair and I attended a double book launch at the Friend in Hand pub in Glebe. Nothing too remarkable there, I have been to many book launches at the Friend in Hand, indeed my own book launch took place there (https://rochfordstreetreview.com/2016/03/16/decades-of-percolation-anna-couani-launches-concrete-flamingos-by-mark-roberts/). 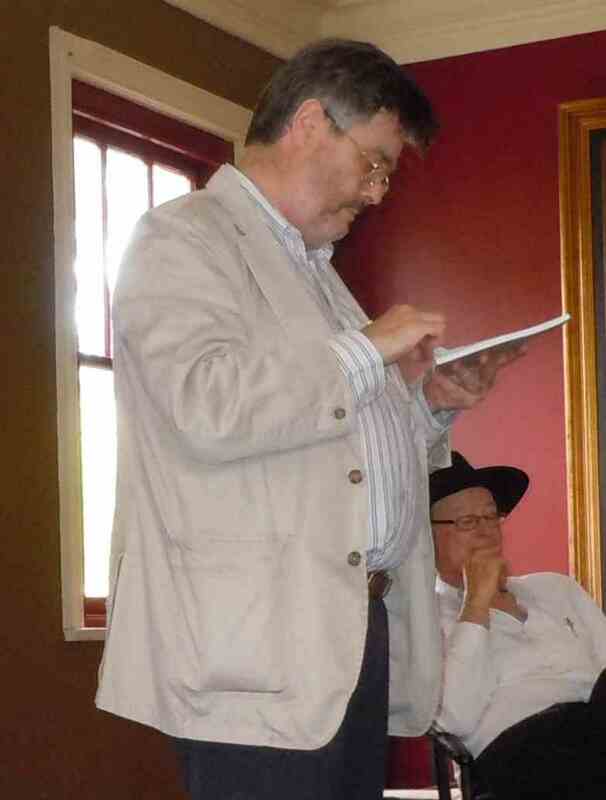 But, as I listened to Margaret Bradstock launch Les Wick’s Belief and Anna Couani launch Kit Kelen’s Poor Man’s Coat: Hardanger Poems, I had what is commonly referred to a flashback to the first launch Linda and I had organised at the Friend in Hand. 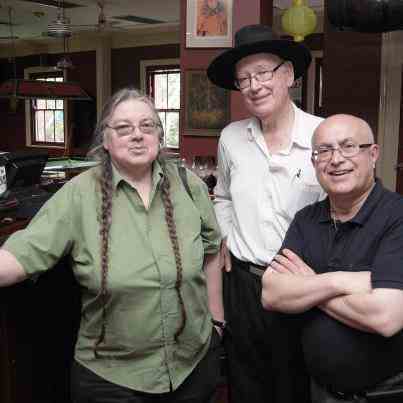 Back in late 2012 the launch of two Rochford Press books took place at the Friend in Hand, P76 Issue 6 (The Lost Issue) and The Selected Your Friendly Fascist edited by Rae Desmond Jones. Both these titles were nostalgic in their own right. Issue 6 of P76 had been over 15 years in the making. Linda and I had created the original layout for the issue in the 1990s on an old Mac and then lost the disk in the confusion of babies and house moves, only to discover it years later in a box under the house. The Selected Your Friendly Fascist grew out of an article Rae Desmond Jones had written for Rochford Street Review on the magazine that he and John Edwards had edited and produced for many years “Lots of energy here, not much control”: Your Friendly Fascist – 1970 – 1984. 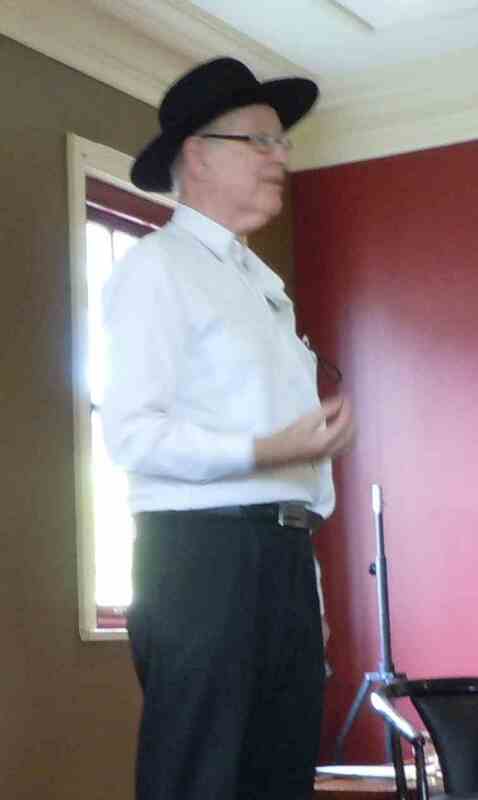 Rae Desmond Jones remembers…... The article attracted much attention and reminiscing and a few months later I suggested to Rae that he might like to consider pulling together a “best of” YFF . At the time Rae was in hospital and I remember his initial response was “it would have to be called the Worst of”. Shortly after he returned home, however, I received a phone call “is 120 pages enough”. As a result in October 2012 there was a large gathering of those of us who had survived being published in Your Friendly Fascist and/or P76. In my memory of that day the figure of Rae looms large against the red curtains of the upstairs bar of the Friend in Hand and, as I watched Les and Kit read from their new books last Saturday, I looked across at the corner near the stage where Rae had sat just over 6 years ago. Of course the fact that I have spent the last 8 months or so working with Linda Adair, Narelle Adair, John Edwards and Ruth Saunders to bring Rae’s final collection of poetry into the world probably had a lot to do with that feeling. So I searched through some old photos and found Rae at the Friend in Hand, launching The Selected Your Friendly Fascist, back in October 2012. I suspect I will have the same feeling when we launch The End of the Line (Rae’s final collection) on Sunday 24 February at 1.30pm at the Exodus Foundation (The Burns Philip Hall) 180 Liverpool Road Ashfield. I haven’t sent much work out over the last 18 months or so but I was particularly pleased that one poem made it into print. Communion Arts Journal, edited and published by Ralph Wessman and Jane Williams out of Tasmania, has a long and proud history. As part of the Walleah Press stable it can trace it’s ancestry back to the wonderful Famous Reporter journal which was one of the important and long lived small press journals of the last 30 years (back in 2013 I reviewed the last issue of the Famous Reporter edited by Ralph Wessman for Rochford Street Review https://rochfordstreetreview.com/2012/08/10/an-eclectic-tour-de-force-mark-roberts-reviews-famous-reporter-43/). Unlike The Famous Reporter Communion is an online journal but it shares with its forebear a commitment to powerful writing and a keen critical ear – something that makes being published by the journal doubly satisfying. ‘limestone’ is a very short poem but it took a long time to write. 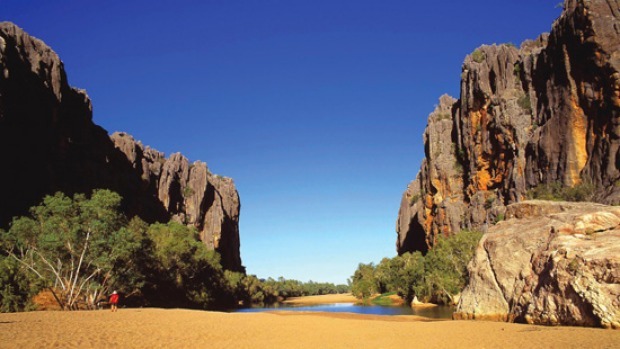 Over 25 years ago Linda Adair and I spent a few days in the Kimberley east of Broome. 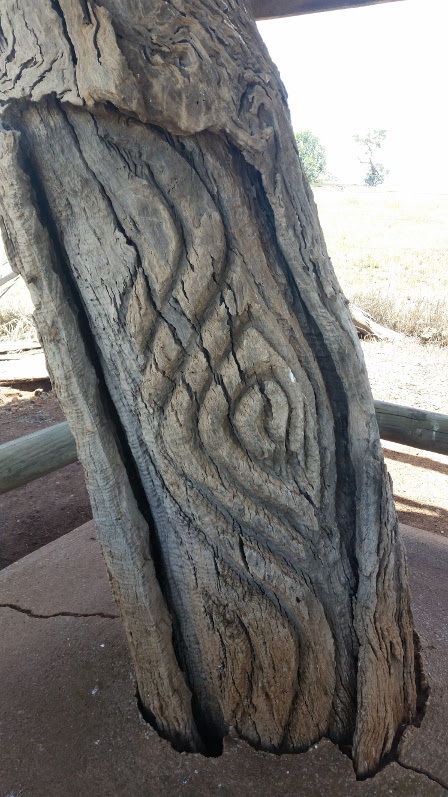 There was an ancient beauty to the landscape which spoke deeply of the history of country and, particularly at night when the Milky Way was almost bright enough to throw shadows, it was easy to feel a connection stretching back eons. It was a feeling that demanded a poem, but it was one of those situations where the poetic strength of the moment swamped the ability of any words to record it. Gradually over two decades words came, Auden helped a little as did the threat posed to this ancient environment by the rise of the ugly right in Australia and around the world which would deny the value of such a link to country. Once you’ve read ‘limestone’ make sure you hang around and enjoy Communion – it is a valuable journal whihc deserves your support. 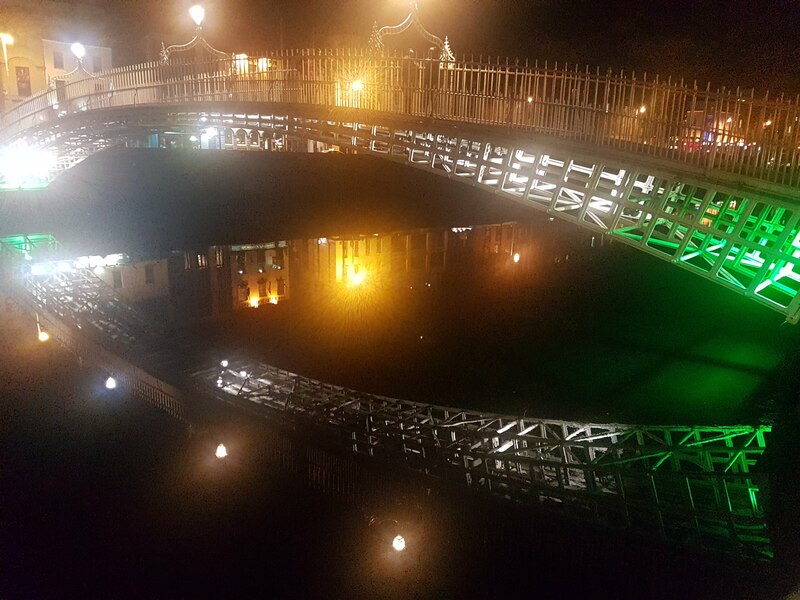 Day 4 of the journal – I observe the Christmas lights from one of the famous bridges across the Liffy. Day two of my December/January poetic journal. I still have the sea chest that my great grandmother brought with her to Australia from Ireland in the mid 19th century. As we tried to meet the baggage restrictions for the flight to Dublin I reflected on the luggage restrictions she faced. to travel 30 hours to Ireland. 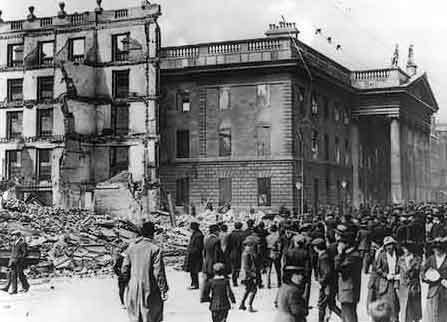 from Cork to Sydney 150 years ago. it was a different oppression). “a bright colour to cheer things up”. had a little more money than most. Over the coming few weeks I will be doing a bit of travelling on the other side of the world. I have decided to try and keep a small poetic journal to capture some of my observations and thoughts during this period. The poems aren’t complete or polished, please treat them more as observations or first drafts. The first post is dated 17 December and covers the flight from Australia to Ireland. I haven’t sent much work out over the last 12 months but I have been fortunate to have a number of pieces appear in various magazines and anthologies. Many of these have been from the Lacuna manuscript which I am still working on 18 months after I originally thought it was completed. One of the pieces in Lacuna is a poem inspired by a visit to Yaranigh’s grave just outside of Molong NSW. Yaranigh was a Wiradjuri man caught up in the rapid dispossession of Aboriginal lands in the first half of the 19th century. 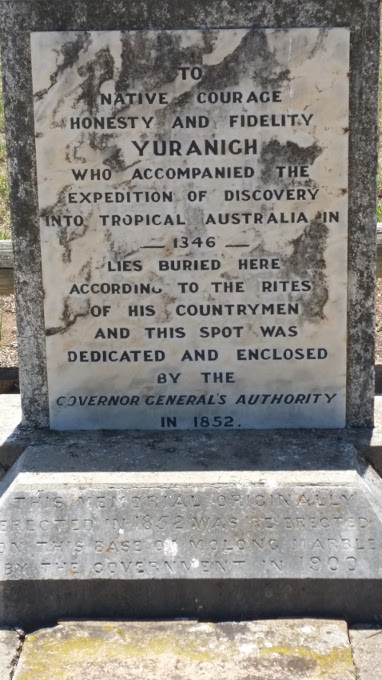 Yaranigh straddled both Aboriginal and European cultures and worked on expeditions with with early colonial ‘explorers’ through NSW and Queensland, acting as a guide and interpreter as the expedition moved through different Aboriginal nations. The most famous of these expeditions was with Sir Thomas Mitchell’s expedition to find the mythical inland sea. On his death Major Mitchell gave him a formal European burial while his own people surrounded the graves with ceremonial carved trees. This combined tribute made me think of delicate situation Yaranigh must have found himself in and how he might have attempted to limit the impact of the Europeans by carefully negotiating passage away from scared sites and areas of importance to local people. Landmarks is described as an anthology which tackles the theme of Landmarks: critical or celebratory, watershed moments or turning points in history, culture or in relationships. It seemed to me that my poem about Yaranigh’s grave was a good fit for such an anthology. 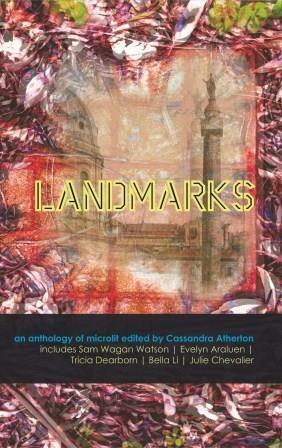 Unfortunately the anthology was looking for microlit and ‘Yaranigh’s Grave’ was a poem. So, not for the first time, I attempted to take a work in one genre and rework it into another. The version that appears in Landmarks is therefore a different work than the one that exists in the Lacuna manuscript. While I still think the poem is a more powerful piece I am still extremely proud that the micro prose version of ‘Yaranigh’s Grave’ has appeared in Landmarks.